Indian Vanity Case: Clinique Cheek Pop Blushers Now In India! 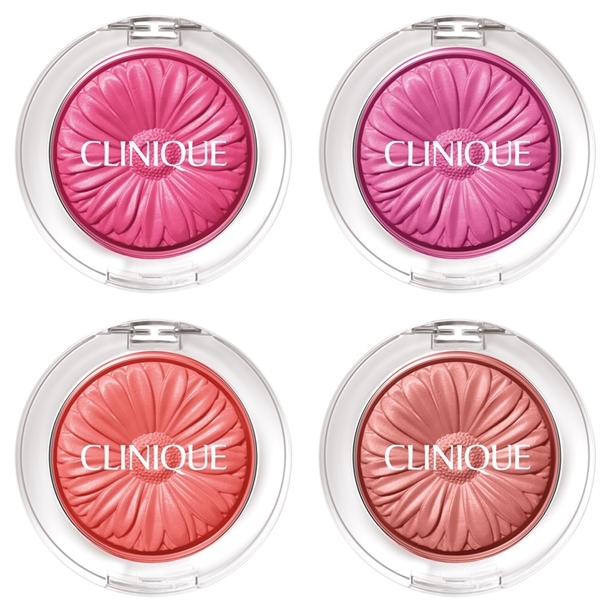 Clinique Cheek Pop Blushers Now In India! I'd been waiting for these a looong time! Gone to Clinique specially several times since March to ask if they'd been launched. Always the same reply ~ "Not until August." Last week, they were finally at the Select City Walk Mall store. But only the first 2 shades at the top ~ Berry Pop & Plum Pop. Bottom 2 shades, Peach Pop & Ginger Pop, hadn't arrived yet. SA said they'll also be launched soon. I didn't pick up any, coz there were no testers! But I will definitely get one when I've tested them all. Are you drooling over these? Which shade do you think looks the best? Oh God finally they are here.Need to get my hands on Berry Pop! yay! Peach pop looks nice; the shade seems unique. And the packaging is lovely! They are available at strawberrynet for Rs 1892 plus discounts if you have bought more than once.